Verdict: 3.5 / 5While Star Wars: The Last Jedi was ambitious, this book polishes the edges and reveals a little more. Star Wars: The Last Jedi is easily the most divisive Star Wars film ever made. In many ways, it’s like Batman V Superman: Dawn of Justice, where some herald its brilliance and boundary-pushing direction while others slam it for disrespecting the lore and not delivering on all of its setups. Still, you can’t argue that the debate about it is interesting – and entertaining when you see some idiots decide they want to remake it. 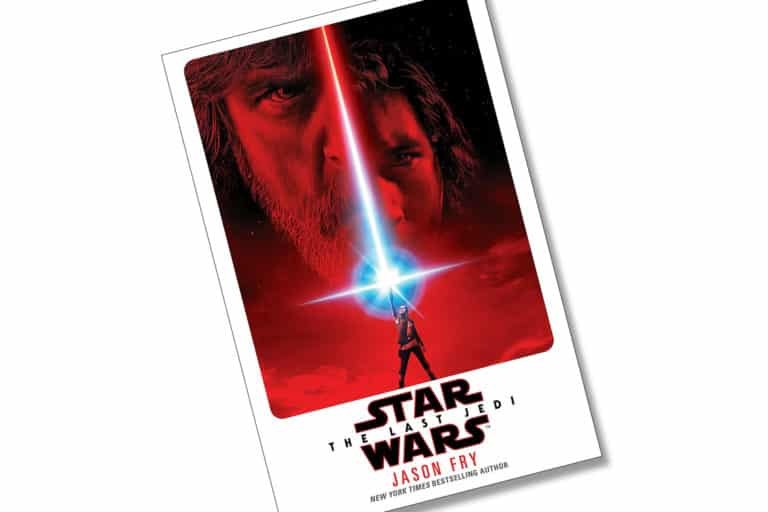 The debate will rage on with the addition of the novelisation, written by Jason Fry, which attempts to fill in some of the gaps from Star Wars: The Last Jedi. What Fry does really well is that he fleshes out the back story of the main characters. We find out what’s eating Kylo Ren and dig deeper into Luke Skywalker’s fears and motivations, while he also gives Rose and Finn more time than what they received in the film. Additionally, fans will be happy to know that Snoke’s story is explored further – although his history isn’t as revelatory as expected, so don’t expect to come out of here with a wealth of info on the villain. Fry also takes turns in writing chapters from the characters’ point-of-views, including BB-8’s. It gives the tale a fresh perspective, as the villain won’t necessarily view himself as the antagonist of his own story. This presents you with both sides of the argument, and helps you understand the motivations better. A surprising addition is the closing part of the final chapter, which is written from the point-of-view of Alcidea-Auka. 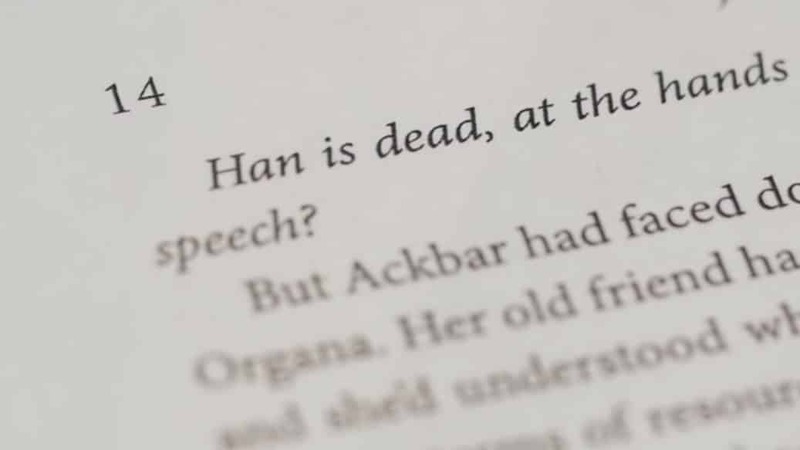 It reveals a little more than expected and may just provide a clue to the mystery of Rey. In terms of the negatives, Finn and Rose’s arc is still rather stale here. Fry emphasises the love angle by showing how Rose gets jealous when Finn discusses Rey, and you kind of feel like both these characters could’ve been removed from the main plot and nothing would’ve changed. While you can’t fault Fry’s writing, there’s only so much he can do with them. Their relationship feels forced and lacks a dynamic, tending to drag on longer than it should have. All in all, if you weren’t a fan of Star Wars: The Last Jedi to start off with, it’s unlikely that the novelisation will change your mind. What it does do is deep-dive into the history of these new characters and showcase events from their perspectives.